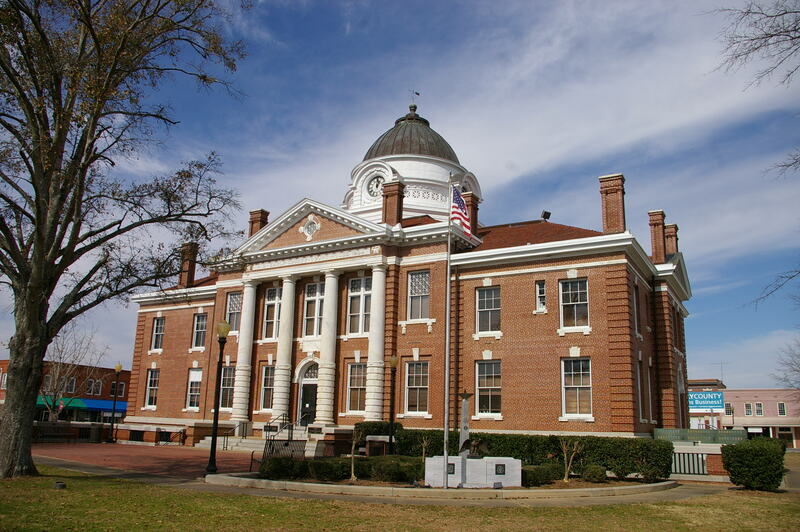 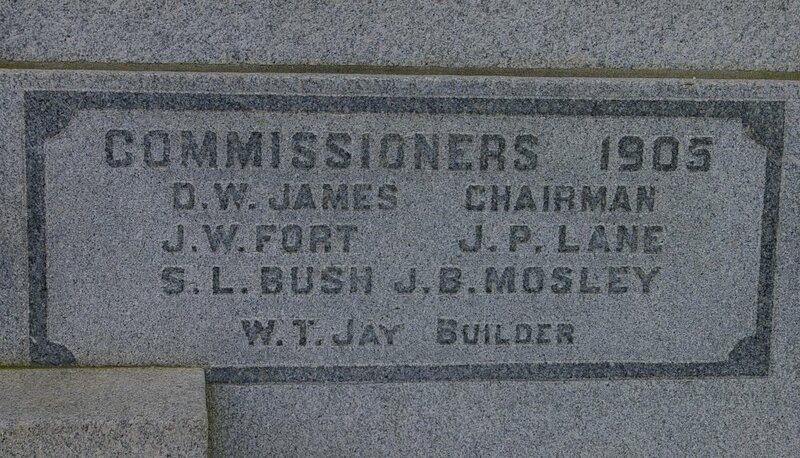 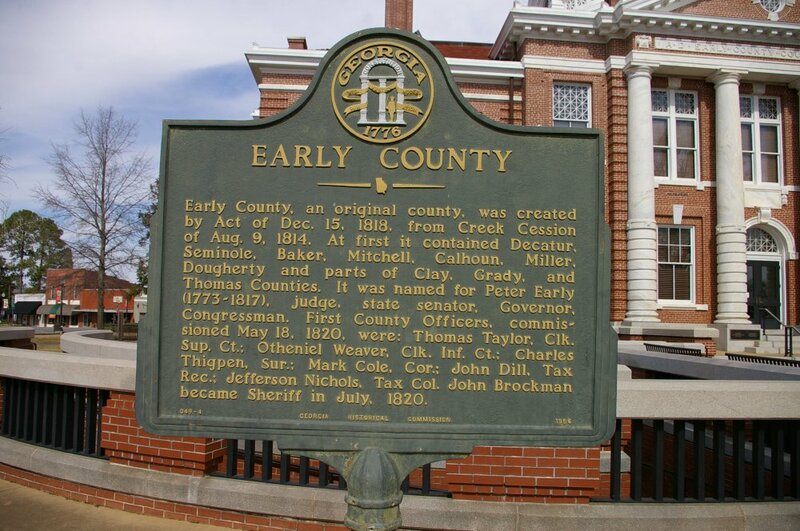 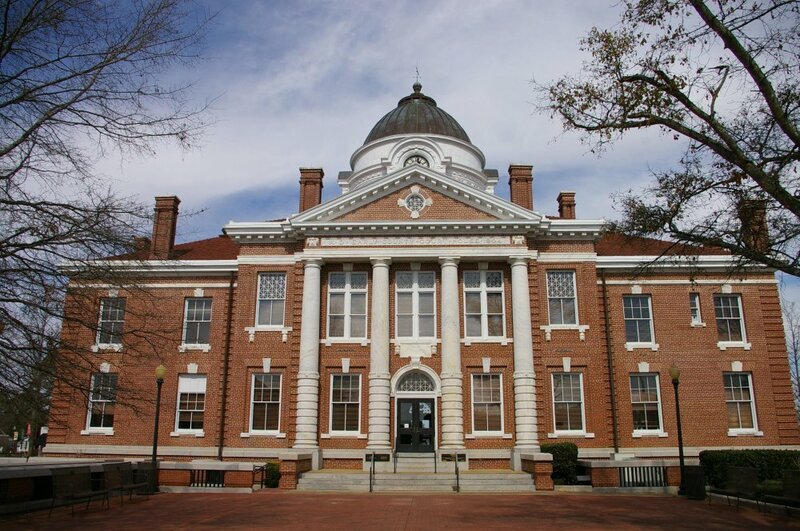 Early County is named for Peter Early, who was a former governor, congressman and judge and who lived from 1773 to 1817. 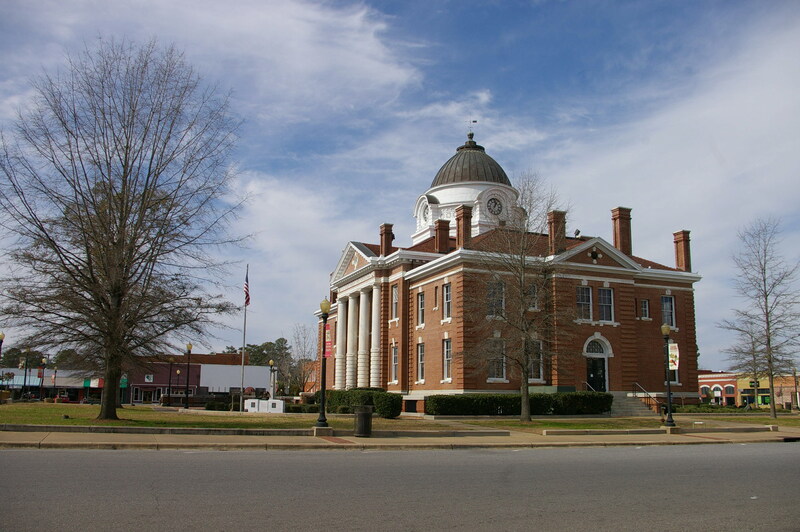 Description: The building faces south and is a two story dark red colored brick structure. 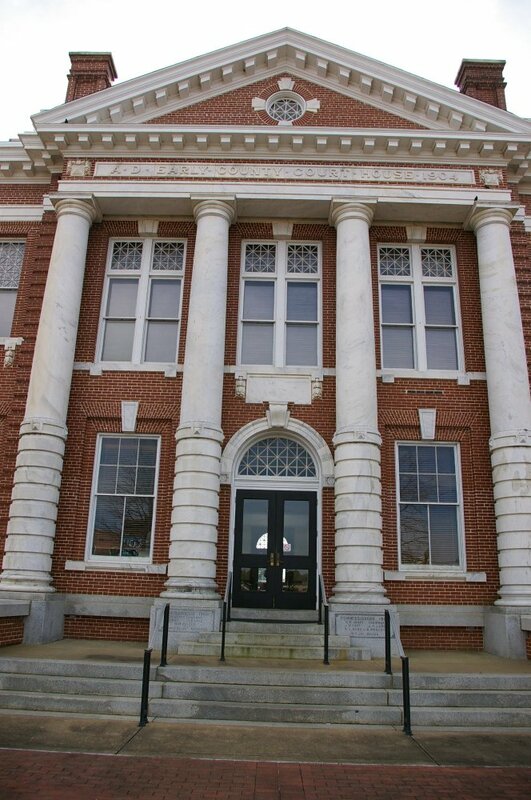 The south front has a large portico supported by four large white columns rising to a pediment at the roof line. There are large windows on the second story behind the portico. 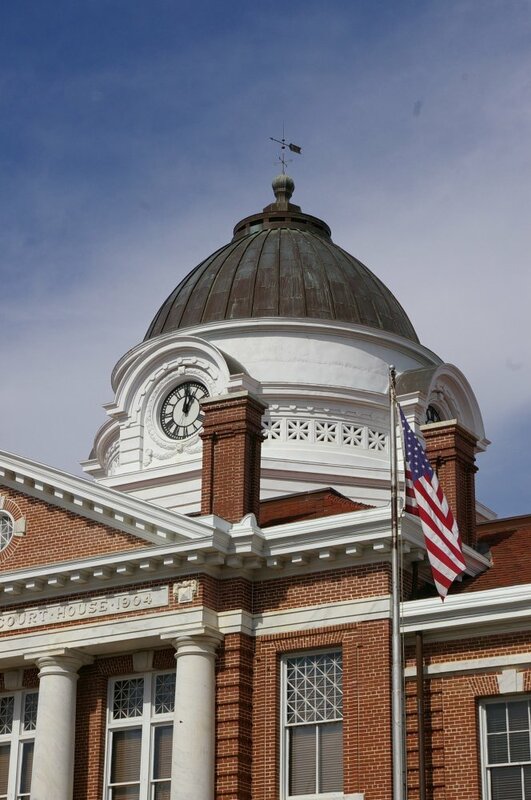 On the center of the roof is a large round dome with clock and black dome. 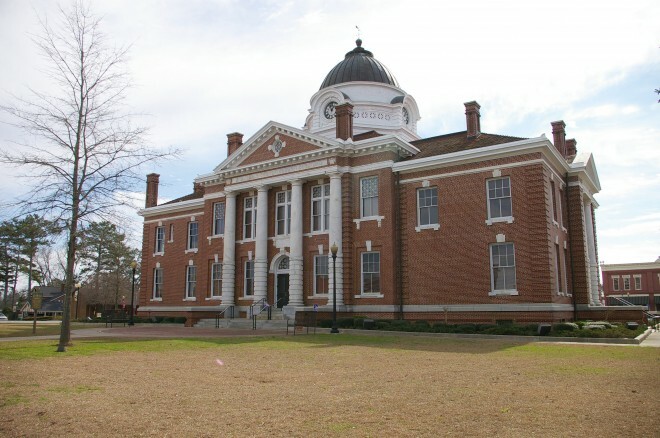 The building was renovated in 1992 to 1994. 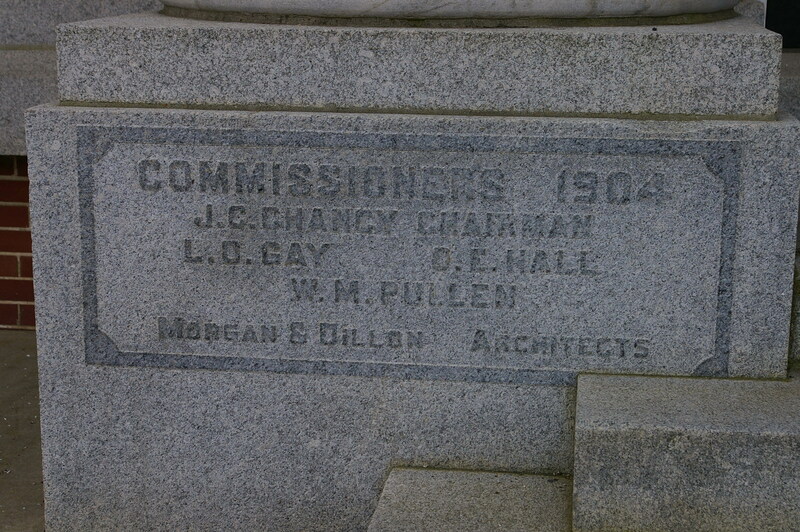 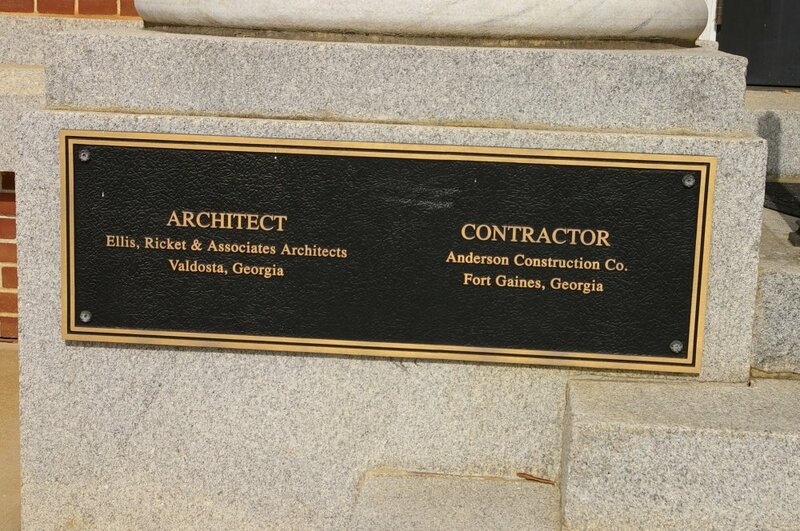 The architect was Ellis, Ricket & Associates Architects of Valdosa and the contractor was Anderson Construction Company of Fort Gaines.